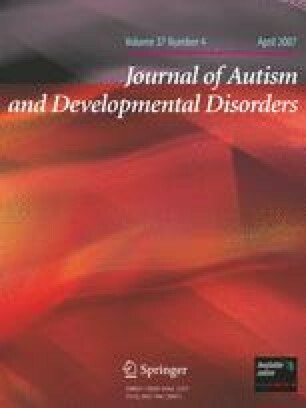 A deficit in empathy has consistently been cited as a central characteristic of Asperger syndrome (AS), but previous research on adults has predominantly focused on cognitive empathy, effectively ignoring the role of affective empathy. We administered the Interpersonal Reactivity Index (IRI), a multi-dimensional measure of empathy, and the Strange Stories test to 21 adults with AS and 21 matched controls. Our data show that while the AS group scored lower on the measures of cognitive empathy and theory of mind, they were no different from controls on one affective empathy scale of the IRI (empathic concern), and scored higher than controls on the other (personal distress). Therefore, we propose that the issue of empathy in AS should be revisited. Kimberley Rogers is now at the Department of Psychology at the Graduate Center of the City University of New York, NY. Isabel Dziobek is now at the Max-Planck Institute for Human Development, Neurocognition of Decision Making, Berlin, Germany. Oliver T. Wolf is now at the Institute of Psychology at the University of Bielefeld, Bielefeld, Germany. Jason Hassenstab is now at the Department of Psychology at Fordham University. This research was funded by a grant from the National Alliance for Autism Research to Dr. Convit. Isabel Dziobek was in part supported by a training grant by the Cusanuswerk, Germany.